Add these fees to your project’s budget for renovation, restoration or new construction. Applies to remodeling contractors for kitchen, bathroom or flooring and more in Weston, FL. City dishonored for any reason shall be obligated to pay a service fee. 1. Copy of a signed contract for work to be completed under requested permit. 2. Apply the values in the most current edition of the RS Means Construction Valuation system. The greatest of the methods of the applicant’s statement of value, or (1.) or (2.) above shall be used in calculating the permit fee. related services other than those listed herein. a) The permit has been revoked by the Building Official. b) The permit has been cancelled by a Court Order. c) A Conditional permit has been issued. d) A permit has expired. e) A Change of Contractor has been recorded. f) Inspections have been performed. Recovery of costs of administrative review and processing per each category of application. any liability arising from any blasting activity or operation. Fiscal Year. The following table reflects the adopted assessment schedules. >20,000 sq. ft. ………………………………………………………..$1,120.00 plus $0.04 each add. sq. ft.
Additional information will require zoning research at the noted hourly rate. * Sales tax will be added where applicable. 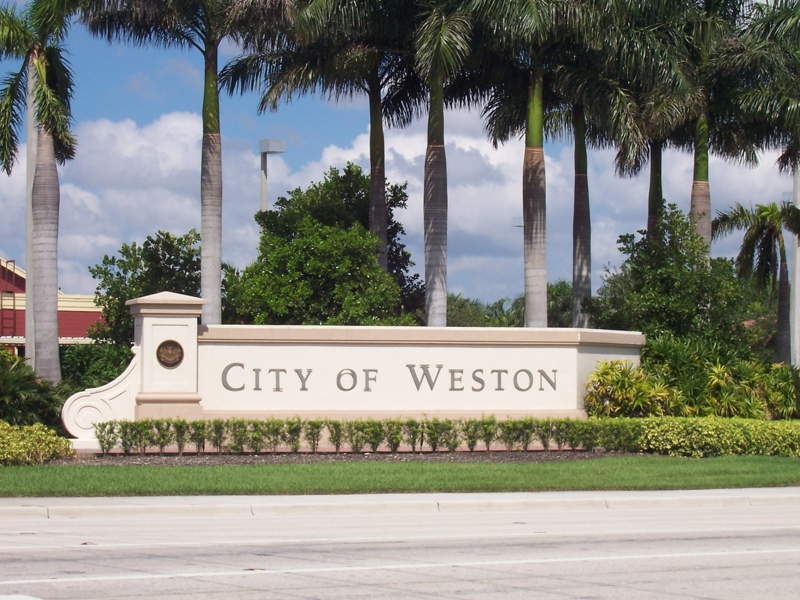 The room rental reservation deposit is refundable upon cancellation of the reservation by the City of Weston. The deposit is non-refundable if the user cancels the reservation within 48 hours of the scheduled event. done that may exceed the deposit amount. payable to the City for use of the room(s). elevations……………………………………………………………………… $250.00 + $3.50/100 sq. ft.
review……………………………………………………………………………. $250.00 + $3.50/100 sq. ft.
each month that is remaining in the Fiscal Year. solid waste accounts within Weston.